When I deliver our recyclables to the town transfer station, I must root through my bins. I’d like to just dump them in the proper receptacles, but the kids sometimes put glass in the paper, or plastic in the glass, and so on. The sorting was annoying enough that it inspired me to create a home recycling center that worked for all the members of my family and consistently remained organized and uncluttered. If you’re interested in doing the same, the first thing to consider is if your county/city/recycling service supports single-stream recycling (also called “single-sort” recycling). If so, things will be quite easy for you, as you’ll need only two bins: one for recyclables and one for trash. If not, you’ll need as many bins as types of materials you’ll need to sort. Where will the recycling be stored? Your answer to this question will depend on your home. Do you want your recycle bins hidden away or can they be in plain sight? Tucking them away reduces visual clutter, but they’re more convenient when in the open. If you dislike the look of your bins or if you only need that one (you lucky, single-streamers! ), then find a spot that’s away, like a pantry, enclosed porch, or garage. Just ensure that the location isn’t too inconveniently placed or the temptation to toss that plastic bottle into the trash will be larger. Also, if you choose a garage, porch, or other semi-outdoor location, ensure that critters cannot get at your bins. At home, I opted for multiple white bins in the kitchen. We have the floor space for it, the bins look nice as long as they’re clean, and they’re terribly convenient in the kitchen. This sounds like a no-brainer, but it’s a crucial step. At first I tried keeping bins in a particular order: paper, glass, metal, and plastic. People forgot which was which. Next, I wrote labels on the lids with permanent marker in big, unmistakeable block letters. That’s been much more effective. Effective, but not the prettiest solution. Fortunately there are many ways to improve the aesthetics. The Open IDEO has several great suggestions if you want to check out more attractive options. A messy recycling center is like an irresistible party invitation for ants and other pests. Thoroughly rinse all containers for recycling before storing them, and occasionally clean out the bins themselves (I hit them with the hose as needed). If for some reason you miss a week’s pick up/drop off, either find a spot to keep what didn’t get picked up until next time (like a shed) or find an alternate drop-off site. Lastly, line your bins. Your town might have guidelines for this, or even special liner bags that must be used. I just use brown paper bags from the grocery store. They keep mess out of my bins themselves, they’re free, and recyclable. With a little time and attention, you can have a home recycle center that works. It’s relatively inexpensive and will save you time sorting. In other words, objects in your home that can grab information from the internet. It’s a compelling idea that has already spawned several interesting devices. But, will it help or hinder home organization? I looked at a few of the more popular IoT products to find an answer. Amazon’s voice-controlled, internet-connected speaker is part music box, part storefront, and a Siri-like personal assistant. Once plugged in and set up, the Amazon Echo cylinder knows when you’re talking to it and can provide, among other things, streaming music, weather, news, and the opportunity to buy from Amazon.com. How does it fare as an organizational device? The benefit is the growing collection of services that are available in one place. You’ll get the news stories and streaming music that I mentioned before, but the Echo can also check your Google calendar, read audio books from Audible, even order you a pizza from Dominos. Mostly, it’s about efficiency and convenience. If you like using Amazon.com and want to talk to a device instead of type, it could save you time and be of assistance. If not, the phone in your pocket most likely already does similar things. Bluetooth-powered key finder tags like the Tile, the Chipolo and the Duet are cute, unobtrusive little doodads (not a technical term) that you connect to items you’re likely to misplace: keys, purses, backpacks, etc. Once paired with our smartphone via the accompanying app, it helps you find where your times have gone. These get a ringing endorsement from me for their time-saving capabilities. I include “misplacing things I need” among my hobbies. It’s an annoying hobby, but also all too real. Key finder tags greatly reduce the time I spend stomping around the house in frustration. There are many Wi-Fi ready, “smart” lighting systems to choose from, each with varying degrees of functioning. The Switchmate, for example, is a tiny piece of hardware that fits over your existing light switch. Installation is as simple as taking the Switchmate out of the box and placing it over a switch. Install the app and it’s ready to use. From there, you can turn lights on and off with the tap of an app. Meanwhile, the Philips Hue adds more functionality. These smart bulbs can be controlled by a mobile app to turn on and off when you like, notice when you’re home, and so on. They’ll also change the very hue of the light they put out and let you save the various combinations of reds, blues, etc. to meet your mood. Perhaps I’m a crotchety old man, but my first impulse is, “Can’t I just hit a switch?” In part this seems like a solution looking for a problem. But I see how it could be handy to have your house illuminate as you approach, or turn lights on and off while you’re out, to make would-be intruders think there’s someone at home. In short, I think smart lighting systems are a fun convenience, but not a massive help. At this point, they seem like one more thing to break or go wrong, especially if your home WiFi is out. Do you find yourself procrastinating about items on your to-do list? Do you keep meaning to do some uncluttering, but never seem to get around to it? I’ve recently begun a new approach to tackling this kind of thing, and it’s working well for me. Instead of trying to get everything done at once, I’m taking the slow and steady approach. Every day, I do one small task that I’ve been procrastinating about completing. One day I began the refund process for an expensive item that has been recalled. For some reason I had put this off for nine months! And although I feared it might be complicated, it was actually very easy, taking only about five minutes. Another day I went to my primary care doctor’s website and asked the questions I need answers to before arranging some routine tests. This took about 10 minutes in total, because I needed to look up some information. Every day, I see if I can find three items to offer to my freecycle group or take to my local thrift store. My garage isn’t a disaster area by any means, but I wanted to use its storage space better. So I’m going through the garage and carefully evaluating everything I have stored out there. A lot of it makes sense: my toolbox, spare stuff (paper towels, toilet paper, cat food, and light bulbs), a small number of holiday items, etc. But I’m also finding things I definitely do not need: six dishpans (intended for sorting papers, but never used for that), an unused car trunk organizer, two hula-hoops, etc. My freecycle group allows three offer messages per day, so I decided to look for at least three things per day that I no longer need. And it’s working very nicely. I don’t get overwhelmed with the task, and I’ve created storage space for things I do want to keep that I had no good space for before. Several times a week, I spend 30-60 minutes helping a friend with her uncluttering efforts. My friend’s husband died some months ago, and he was quite a packrat — so there’s a lot to go through. Although my friend wants to unclutter her home, the effort can sometimes seem overwhelming. So I’m spending a little bit of time with her as many days as I can to help keep the momentum going. Other people are helping her, too, and there’s substantial progress being made. It’s wonderful when we uncover something that had been missing for years! This is not to say I won’t ever do any hours-long efforts, as those work well for me at times, too. But for now, doing a little bit every day has helped get me unstuck. Digital note apps are fantastic for easily taking information with you. I use Evernote as my cold storage for reference material. (That is, information that doesn’t require action, but might be useful in the future.) 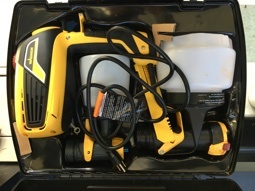 This has been my primary use for digital tools for years … until I had kids. Today, I’m constantly recording information into Evernote to help me manage everything related to my kids. For example, I need to remember the address for Jane’s mom’s/dad’s house, or the dance studio, all the soccer fields, and so on, and this recorded information helps me do it. If it weren’t for a digital notes app, I’d end up texting my wife for that information or asking the kids to text their friends and then share the answers with me — a total waste of time. That’s it. I can search any of those tags and bring up all the relevant notes. For example, “Jane Address Grace Friends” brings up the driving directions to Jane’s house as well as a live link to Google Maps. The same goes for dance, scouts, and sports. It’s easy to set up and is very useful. I can add to the list at any time simply by adding one of the tags to the notes I create. The link to Google Maps is excellent too, as I can get turn-by-turn directions from any starting point. Leaving Jane’s mom’s house and heading to the dance studio? No problem. A significant uncluttering and organizing project can be exhilarating. You can see huge progress, and things that bothered you for a long time can find solutions. But then there’s the ongoing maintenance: putting the toys back in place, dealing with the mail, etc. I don’t know anyone who enjoys this part of the organizing process, but it’s critical. Sadly, there is no magical organizing fairy who can complete the maintenance work with a wave of her wand. Given that, the following are some suggestions for tackling maintenance activities. Getting behind on maintenance happens to everyone I know at times, including myself and other fellow organizers. If dealing with mail is overwhelming, you might invest some time in getting off mailing lists so there won’t be as much incoming mail. You can also look into going paperless for bank statements, bills, etc. If you share your household with a spouse, domestic partner, children, or roommates, look at how the maintenance work is divided and see if there might be a better way to split up that work. And if your budget accommodates it, consider paying someone to do certain tasks that are time-consuming or especially annoying. Sometimes little adjustments, such as adding (or repositioning) a wastebasket, recycling bin, or laundry hamper can make a big difference. Using hooks instead of hangers can make it easier for some people to put away their coats, bathrobes, and such. If your closets and other storage spaces are already quite full, minimizing new purchases (or instituting a one-in, one-out rule) will make it easier to ensure everything has an appropriate storage space, so it’s easy to put things away. Do you do best with a short amount of maintenance work daily, or a larger chunk of time once/week — or some other schedule? Experiment and find a routine that feels comfortable for you. An inbox for mail, receipts, and other scraps of paper will keep them from being misplaced until you go through them to toss/recycle, shred, scan, or file. Maybe you’ll want a bin for things left laying around the living room (or other spaces) until your next scheduled time for putting all those things away. Even if you’ve done a complete uncluttering exercise, it’s worth revisiting your possessions periodically. Children outgrow clothes and toys. Adults find their interests change. And almost everyone makes a few purchases that don’t work out, resulting in items that should be returned, donated, etc. Having good tools (a shredder that doesn’t jam, nice clothes hangers, etc.) will make the work less annoying. A pleasant workspace for handling the paperwork can make a big difference, too. Some people enjoy listening to music as they do the work. Others give themselves mini-rewards after the work gets done. In the 45 years I’ve spend on this planet, I’ve been in many homes. From my humble childhood home in Pennsylvania to the elaborate dwellings of well-off friends, all homes seem to have one thing in common: a junk drawer. I think a junk drawer is a good thing to have. It’s a place for oft-used items like pens and note paper, as well as those piddly little things that don’t fit anywhere else: bobby pins, rubber bands, scissors, a ruler. As a storage option, it’s fine, as all those items need a home. In execution, however, there’s often a problem. The casual nature of a junk drawer fosters an overall lenient attitude. It is very easy to have a mess on your hands. Once it becomes difficult to find what you want, it’s time for an intervention. First, pull out the drawer (if that’s possible) and move it to a large work surface like a table or counter. Next, remove everything from the drawer and lay it flat on the work surface. Then, while the drawer is empty, give it a good cleaning. Is there somewhere else this should be? I mentioned bobby pins before, and perhaps they should be returned to the hair care supplies in your bathroom. Likewise, maybe the rubber bands and ruler would be easier to find if stored with office supplies in your home office. Do I need this? Any true examples of junk in your junk drawer should be treated as such. Throw them out. Does this still function? Pens with no ink, miniature pencils with no erasers, and so on need to go. Is this a duplicate? Do you need five Chip Clips in the drawer in addition to the four in use? Finally: Why did you wait so long to organize this space? I know that I often procrastinate on a project if, deep down, I don’t think I can successfully do it. But that’s not the case here. The junk drawer seems so low-priority, so informal, that I tend to ignore it until the day I realize I’ve got to pull it completely out to find anything. To combat that tendency, I’ve put a six-month reminder on my calendar to get in there and have a good sort. It only takes fifteen minutes, costs nothing, and results in a storage area that’s easier to use — and that’s time well spent. Mr. Hansen’s wife, Ashleigh Hansen, said she sneaks her husband’s cargo shorts off to Goodwill when he’s not around. Mrs. Hansen, 30, no longer throws them out at home because her husband has found them in the trash and fished them out. I have no problem with someone discretely disposing of anything that is theirs, including gifts from a spouse or partner. But getting rid of another person’s items? That’s generally a horrible idea. When that other person has given you explicit permission to do so. For example, sometimes one spouse will accept, or even appreciate, having the other manage his or her wardrobe. Or an elderly parent might appreciate some help with uncluttering — perhaps giving you general guidelines but otherwise allowing you to decide what stays and what goes. When the other person is a child who is too young to make such decisions. But even children as young as three can be involved in an uncluttering effort, and parents are sometimes surprised at how much their children are willing to discard. When you have the legal authority to make decisions for someone who can no longer make decisions for himself or herself. Have a discussion about the items in question, where each party listens respectfully to the other person’s position. There’s always a chance that if you calmly explain why you’d like something to be discarded you can convince the other person to go along with you. Or maybe, when you fully understand why someone wants to keep something that you want to discard, you’ll change your mind and decide it’s fine to have it stay. Reach a compromise. Maybe he keeps the cargo shorts but agrees not to wear them when the two of you go out together. If there’s a disputed item of décor, maybe it can be displayed in a spot in the home where you rarely go. Agree on boundaries, where anything can be kept as long as it fits within a designated space: a dresser drawer, a storage box, a shelf in the garage, a basket for stuffed animals, etc. Bring in a professional organizer. An impartial third party with recognized expertise can ask questions and make suggestions while avoiding the emotional landmines that can be triggered when a spouse or partner makes suggestions. Technology is routine for the modern student. And that technology can help your favorite student to stay organized and productive this school year. 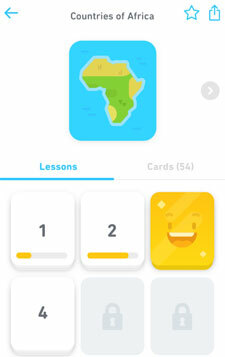 Tinycards from Duolingo helps young students learn a language with engaging, fun, and effective lessons. My daughter’s Spanish class started using it when she was in 7th grade. Now, the company has released Tinycards, a flashcards app (free, iPhone only) that’s as handy as it is beautiful. There are thousands of pre-made decks to choose from, or you can make custom sets to support specific course material. By late elementary school, students take on the extra responsibility of managing their time and duties. myHomework Student Planner is an app that will help them do just that. Available for iOS devices, Android, and Windows, this comprehensive solution lets tech-savvy students toss out the paper planner and go digital with a nearly ubiquitous access to all of their assignments that’s synchronized across devices for them. Students can get reminders of what’s due, browse their class schedules, and check in on assignments. Plus, it looks great. Speaking of college students, EasyBib quickly creates bibliography citations for use in an academic paper. There are hundreds of styles available, from APA to who-knows-what. You can even use it to scan a book’s bar code to create the citation. EasyBib is available for both iPhone and Android devices. As someone who wrote a lot of papers in APA format, I can say it’s quite nice to have an organized and portable style guide like this. My last pick has a bit of environmentalism built into it. Forest (available for iPhone and Android), lets you set aside time for concentration and study. Simply pick your work time and get started. As you work, a small on-screen seedling grows into a beautiful tree. What’s very cool is that a real tree results as well. As you use the app, your earn in-game currency that you can spend to plant real trees. Forest’s developers have partnered with Trees for the Future, a non-profit organization that will plant a real tree for every 2500 currency you “spend” in the app. Neat. The new school year is upon here and finding the right app for you or your kid can help make the year more productive, organized, and educational. Is a garage sale right for you? I’m seeing a lot of garage sale signs in my neighborhood lately. If you have things you’d like to move along to new homes, is running a garage sale a good idea? The answer to that question will vary from person to person. The first consideration is whether or not you can even have one, logistically. If you live in a condominium complex, for example, there are likely to be regulations about such sales. Some cities have laws about garage sales, too. But if there are no such issues, the following are some things to consider. The obvious advantage of a garage sale is that you make some money. And unlike some other ways of selling, like eBay, you don’t need to worry about shipping things after a sale. Yes, you could also donate your items and take a tax deduction for the fair market value (assuming you’re filing U.S. taxes). But if you don’t itemize your deductions, you won’t get any financial benefit from making the donation. Knowing you are having the sale might inspire some additional uncluttering. Some children get into selling their old toys, especially if they get to keep the profits or if the profits are being donated to a good cause that is meaningful to them. Some people really enjoy the social side of garage sales. They can be a fun way to get to know your neighbors better. But if you’re an introvert, the social side may be a drawback rather than a benefit. One of the largest downsides I see is that people set aside things for a garage sale and then never have one, so the unwanted items continue to take up space in the house. Even if you do have the sale, you’ll have things accumulating until the sale date, rather than leaving your home immediately as they could if chose to donate instead of sell (or chose another sales method that got individual items out of your home more quickly). Another significant downside is that a garage sale is a lot of work. Successful garage sales usually involve a lot of preparation (making signs, placing ads, getting permits if needed, determining pricing, figuring out how to best display the items) as well as continual work on the day of the sale. And there’s post-sale work, too: taking down those signs and disposing of anything that didn’t sell. And while you can certainly make money through a garage sale, it may be less than you expected. Garage sale shoppers are looking for bargains and will often haggle over your prices, even if you thought they were very low already. That haggling can be especially stressful if the item in question is sentimental in some way. Another consideration: If you have bad weather, you might get fewer shoppers and make much less money than expected. To avoid garage sale regrets, you might want to estimate your probable profits, using realistic estimates on what is likely to sell and at what prices. (Visiting other garage sales in your area could help with this.) Then you can decide if you feel that amount of money is worth the time and effort the sale will require. Some people are fine with making as little as $50 or so from a sale, while others would want to make much more. If you do decide to have a garage sale, Geralin Thomas has a lot of good advice for running it successfully.